Good morning and happy Mother's Day! The sun is peeking though the clouds now, but it's been a cold and rainy week. The meteorologists are already making comparisons to coldest Mays on record. Seems we're in second place now, a dubious distinction for sure... I just want to wear sandals again! There hasn't been much time for reading this week. I spent a couple of days driving a family member to treatments, and we're still trying to catch up after a winter away. Our patio, landscaping, and flower beds/pots are screaming for attention... if only the weather would cooperate. 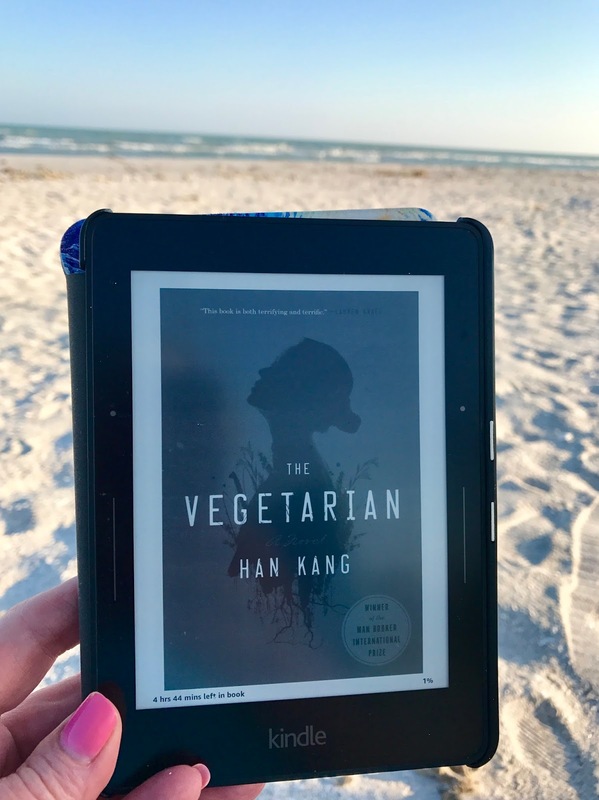 Winner of the 2016 Man Booker Prize, this book was compelling, dark, and disturbing - certainly not an "enjoyable" read. 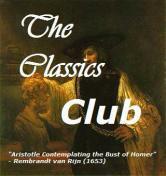 I'm glad I read it and would love to sit in on a book club discussion, but will not recommend this one to my group. My current reading has been almost exclusively on audio. 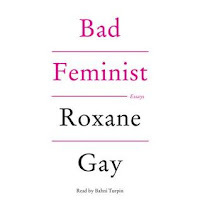 I continue to enjoy Gay's essay collection and have already recommended this to my daughters. 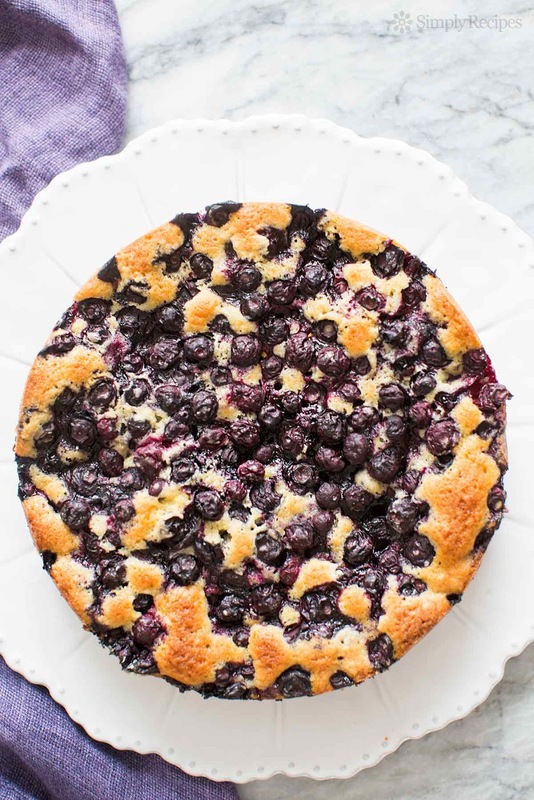 This Blueberry Cake from Simply Recipes was a hit at dinner last Sunday. It calls for an 8 or 9 inch springform pan and I found baking time needs to be at the low end of the range if you opt for a 9" pan... and maybe even less time than stated. The Red Lentil Soup with Lemon from the New York Times was so good, I've already made it twice! I have a relaxing morning planned today... coffee, reading, and perusing blogs before my husband makes breakfast. If the weather holds, we'll take Zelda on a long walk. Later we'll join my parents and siblings for Mother's Day dinner. How was your week? What are you planning today? Our weather has been up and down this month but it's definitely sandal weather. Have a Happy Mother's Day! Thanks, Kathy. Happy Mother's Day to you, too! Oh, this year has certainly given us challenging weather...we're still having lots of wind here, which is odd for us. But I can't complain, as it is mostly sunny. I love lentil soups and stews. Now I feel the urge to make some in my Crockpot, which has only been used once. 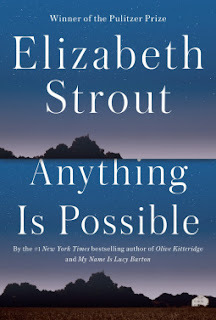 I am curious about the new Elizabeth Strout book. Laurel-Rain Snow - It's such a treat to settle in with a new Elizabeth Strout novel. I just love her writing. Have a feeling I'll be making a third batch of that red lentil soup this week. It was so good! Happy Mother's Day! Your book selections sound interesting. I hope it warms up for you soon. I couldn't believe my ears when I heard a nor-easter for NY! Our weathermen having been talking about a blizzard we had 40 years this week...I would have been a senior in high school and I don't remember that happening at all. Maybe it didn't reach Connecticut? Anyway, happy Mother's Day! I hope you have a lovely day. I really enjoyed the Strout! 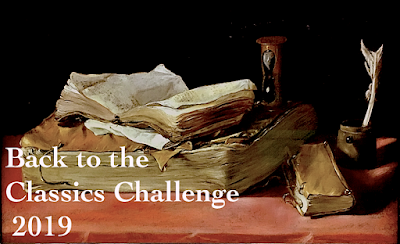 Great intro to short stories for people who may be unsure about them. I'm starting Anything Is Possible later today. I love that your dog is names Zelda. Greg - Looks like things will finally break tomorrow... we'll hit 60!! Sounds like you have a wonderful Mother's Day mapped out. Although only for 8 days, I have been on a house/pet sit and glad to get back in my own kitchen also. Actually, I may fix dinner for myself and my daughter. Just glad to get back home. Tomorrow I may be able to pick up from the library a copy of Richard Ford's new memoir about his parents. Anxious to hear his view of their life. In recent years I've discovered that I really knew very little about my parents' life together, particularly the six years before I was born. Don't know if that was my fault or theirs, but now it is what it is. 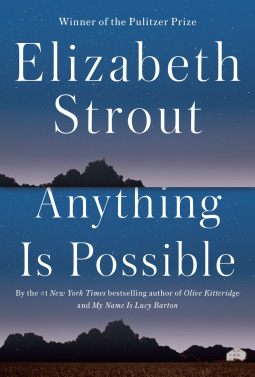 I really enjoyed the Elizabeth Strout book and I'm sure you will too. JudyMac - No matter how long you are away, it's always good to be home. In the past several years, we've been trying to learn more about both our parents' and grandparents' lives and have discovered some very interesting stories. I'm reading the first story in Elizabeth Strout's book now... really love her writing. I picked up the new Stroud book from the library last week, too. I haven't started it yet; I'm afraid it will disappoint me a little like her last book. Deb Nance - I loved Lucy Barton, so my hopes are high for her new one, too. The cake & the soup look great, yum. It seems you backed off your initial enthusiasm for The Vegetarian. Does it get too disturbing or weird towards the end of the book? I'm still on the fence whether I should try it. thx, enjoy your week. weather should get better, hang in there. Susan - Yes, my initial enthusiasm began to waver in the middle section. 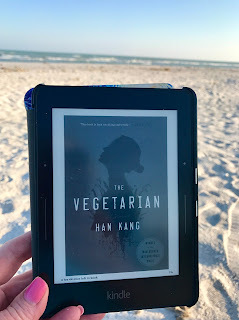 It was weird, disturbing, and on the graphic side - my book club would never go for that. But then I got to the end and was disappointed... it made the whole thing seem pointless. After searching other reviews, I found another interpretation preferable to my own. Thinking about it another way made the novel seem more meaningful. I hope you are having a wonderful Mother's day & weekend! Those recipes you shared sound delicious so I'll have to take a look at those and see if hubby wants to make them (haha... he's the cook in the family!). Iliana - We had such a nice Mother's Day, despite the rain. Maybe my hubby will take up cooking when he retires -ha! I have heard good things about Anything is Possible. Strout sounds like a very skilled writer. That Red Lentil soup looks very good. It is 5:30 AM in the morning here and I am now hungry for soup! Brian Joseph - Strout is one of my favorite authors. I've enjoyed all of her books, especially Olive Kitteridge. Anything is Possible is off to a strong start. The weather's been awful here too and I want to wear sandals again too! I read good things about Anything is Possible. 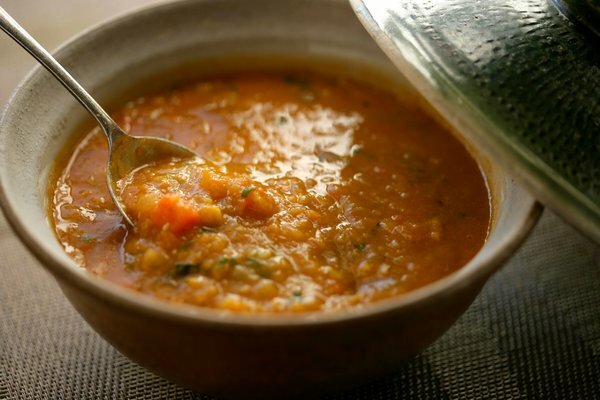 I love Red Lentil soup and that pic made my mouth water. 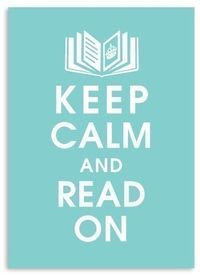 Enjoy your reading week! Laura - It's still cold here, but at least I've graduated to ballet flats without socks ;-) I might make another pan of that soup this week. It's hard to play catch up with plants and flowers...we have been trying to get pots out for days and it's either too windy, too chilly or too rainy to do anything outside...but...this week is supposed to be much better! Sunny, humid...warm...very warm! Patty - It was supposed to warm up today, but we only got to the mid60s. Maybe tomorrow... sigh. We have so much work to do outside, I'm considering calling for help, lol! Stacy - I've definitely been on a cooking binge since we got home. Yesterday I tried banana walnut steel cut oats in the crockpot overnight - such a treat to wake up to! OH!!! jealous of the Strout! 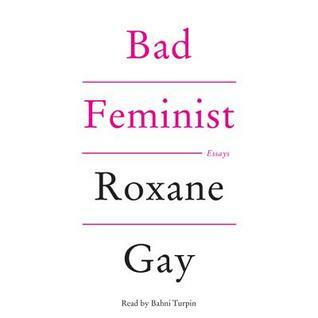 I ended up buying a book I'm listening to. WHY?! I don't know. I just don't know. (ok, it's pretty and it felt good in my hands and it just begged to come home with me). I also bought Being Mortal because I'm tired of seeing it on lists and yelling at myself for not yet reading it.